Toku Insider: Zyuohger 3rd Catalog Pics Revealed! 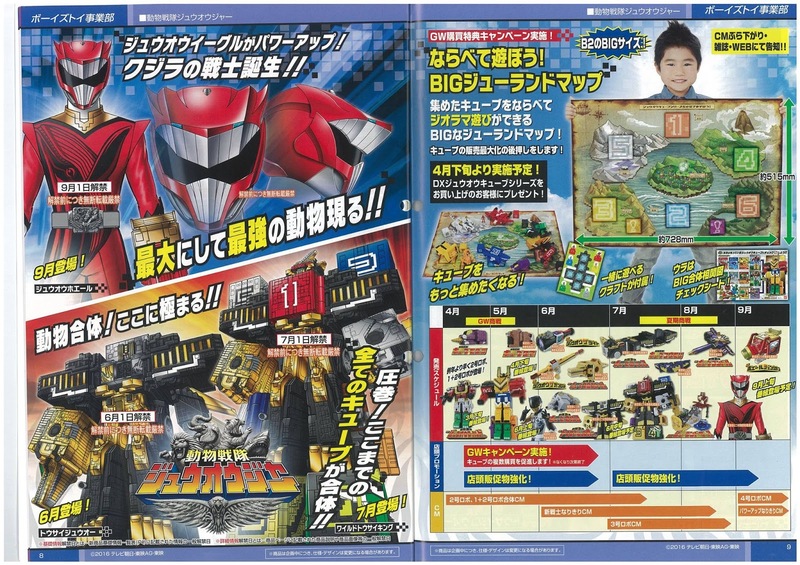 The splash page, including ZyuohWhale, Eagle's new form, TousaiZyuoh and WildTousaiKing. CubeKoumori (Koumori Boomerang), CubeCondor and it's combination with Tiger and Elephant (not named yet.) The entire line up till now, including WildTousaiKing, the 13 piece combination. 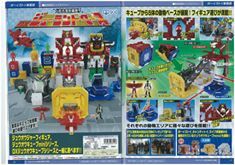 CubeRhinos and it's trailer. 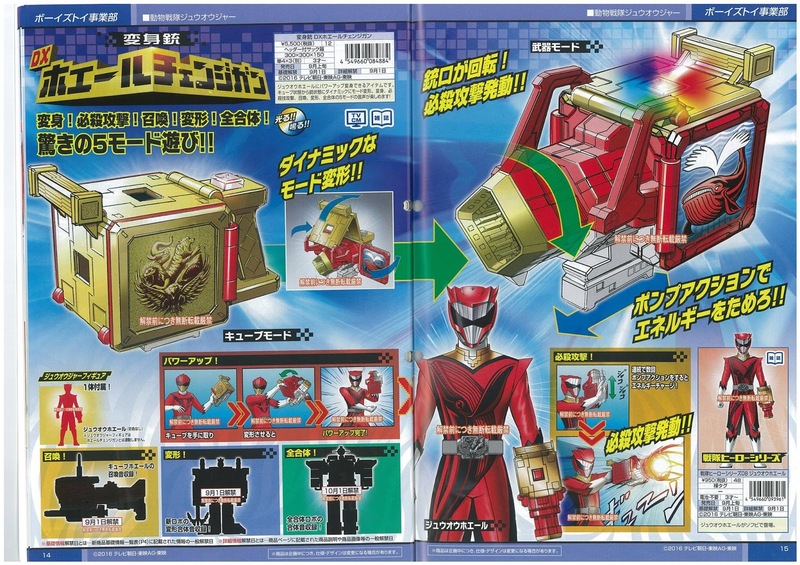 CubeRhinos does not transform into a cube, it is a cuboid in it's natural state. 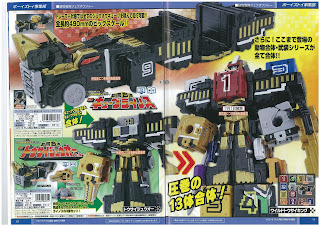 TousaiZyuoh, formed from all 3 of TheWorld's mecha, and 13 piece combination, WildTousaiKing. and the Combination of all mecha. 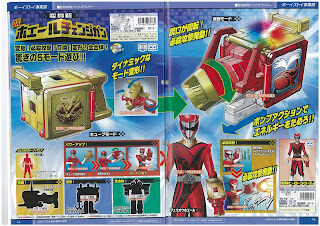 Whale can be pictured with an anchor-gun weapon, which may be a separate ZyuohWeapon Animal. 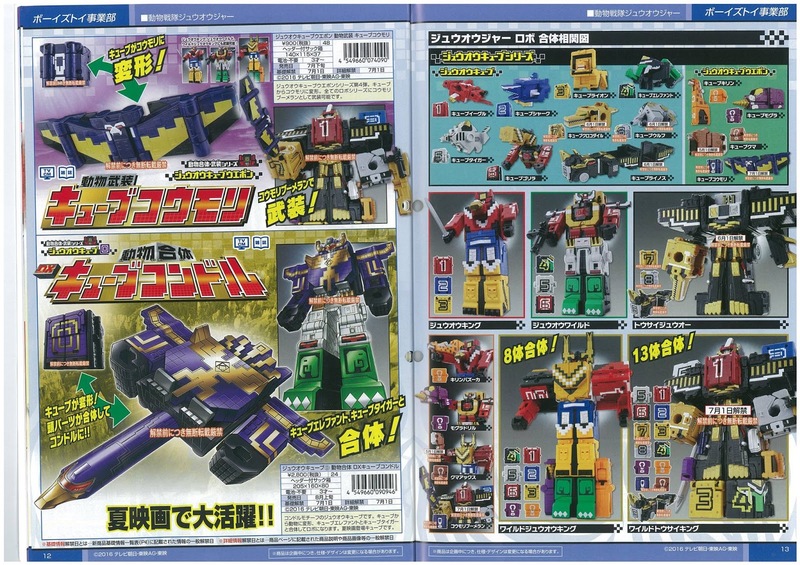 DX ZyulandBase, a place for all your toys!